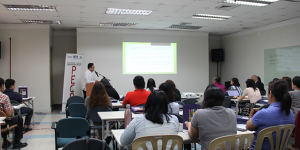 The Philippine Trade Training Center (PTTC) recently embraced its new role as the hub for Filipino innovators to produce “smarter” entrepreneurs through the soft launch of the Philippine Global MSME Academy. Moreover, a signing of a Memorandum of Agreement (MOA) between and among multi-stakeholder collaborators including the Department of Trade and Industry (DTI) and PTTC, Lead-More Development Inc., and other industry partners for the Integrated Center for Entrepreneurship (ICE) project was also done on 27 February 2019. The PTTC’s new brand as the home to the Philippines’ Global MSMEs Academy (GMEA) will have a bigger role in developing the country’s entrepreneurship programs as well as honing the skills of the country’s entrepreneurs and would-be entrepreneurs. The GMEA aims to promote more “globally competitive MSMEs that are regionally integrated, resilient, sustainable and innovative, thereby performing as key drivers of inclusive Philippine economic growth”. For its part in the GMEA, PTTC has aligned its Entrepreneurship training programs for the youth, women and Overseas Filipino Workers (OFWs) in tandem with other institutions providing capacity building programs for the said sectors. 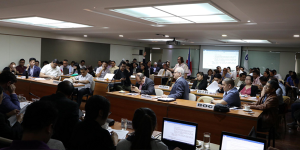 Meanwhile, DTI Secretary Ramon Lopez said he wants to transform the country’s MSMEs from mere buy and sell traders into innovators who can come up with new products and services that will address local as well as regional and even global needs. The GMEA, he claimed will be the innovation centers and local hubs where aspiring and established entrepreneurs can learn from mentors and seek financing for their businesses. He added that DTI will team up with agencies like DepEd to strengthen the curriculum of elementary and high school students to reinforce science, technology and entrepreneurship and TESDA to develop more skills training for students. On the other hand, the PTTC was also made the home and administrator of the ASEAN SME Academy, thereby making the Philippines as the first country to become the administrator of the ASEAN SME Academy through the Department of Trade and Industry. As the new academy administrator, the PTTC shall facilitate online forums that will link MSMEs in the Philippines to SMEs in Southeast Asia to share experiences on common issues in business and trade, identify best practices, and benchmark in the best practices of ASEAN member economies. Further, the ASEAN SME Academy is a one-stop multi-platform online learning and information resource for Southeast Asian SMEs with support from USAID, ASEAN Coordinating Committee on MSME and the US-ASEAN Business Council (US-ABC). At present, there are 50 training courses on finance and accounting management, marketing, operation, technology, and trade and logistics from Fortune 500 companies and members of the US-ABC for Competitive SMEs are being offered. In addition, the Academy contains around 350 relevant links to business information and access to directory of service providers to whom SMEs can reach out for financial advice, corporate programs and networking. Entities engaged in the transport of chemicals are reminded to double check and ensure compliance of the application requirements prior to submission to Commission on Elections (COMELEC) in securing the Certificate of Authority to Transport (CA-TT) chemicals. The completeness of documents submitted will lessen if not totally eliminate the chance of denial of application during the gun ban period. Specifically, Anastacio reminded that “In cases wherein the applicant will PERSONALLY go to the CBFSP (Committee on the Ban of Firearms and Security Personnel) Office and file the application”, he must submit COE and Board Resolution authorizing him to apply. On the other hand, if the application is submitted through a liaison officer, he must submit his COE and authorization letter, along with the COE of the applicant and a Board Resolution authorizing the same to apply in behalf of the company. It was also reiterated that the name and signature of the applicant in the application form should match with the applicant indicated in the Board Resolution. He also emphasized that the Place of Origin in the same application form must be inside the Philippine territory (e.g. Port of Manila/MICP) and not the Port of Origin (e.g. Japan port). Mr. Anastacio also stressed that the entries in the application form, PNP permit (permit to transport), Radio Message, and Endorsement Letter from PNP should match at all times. Lastly, in case the applicant is a sole proprietor, he must submit his COE, certified true copy of the Business/Mayor’s Permit, certified true copy of the DTI registration/certification and the COE of the liaison officer (if the application is submitted by the liaison officer). The gun ban covers the period 13 January to 12 June 2019. The COMELEC also advised that the last day of accepting CA-TT application is on 29 May 2019. 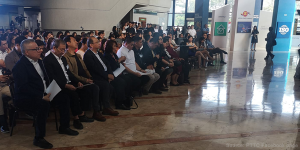 Department of Trade and Industry (DTI), Department of Transportation (DOTr), and Department of Finance (DOF) jointly presented the draft Joint Administrative Order (JAO) to concerned stakeholders. This aims to regulate the local charges imposed by international shipping lines and provide measures to address port congestion. The issue on excessive and questionable charges levied by some international shipping lines escalated since February 2017 and numerous meetings and forums have been conducted to discuss the recommendations from both the government and private sector. The JAO was crafted to promote efficient operation of country’s ports and facilitate the importation and exportation of goods to promote more investments. It is also viewed to address the concern of stakeholders on high utilization at Manila ports and difficulty in returning the empty containers to container depots. After the JAO is signed, the Bureau of Customs (BOC), Philippine Ports Authority (PPA), Bureau of Internal Revenue (BIR), and Maritime Industry Authority (MARINA) shall craft and issue their own orders to implement the said joint order.